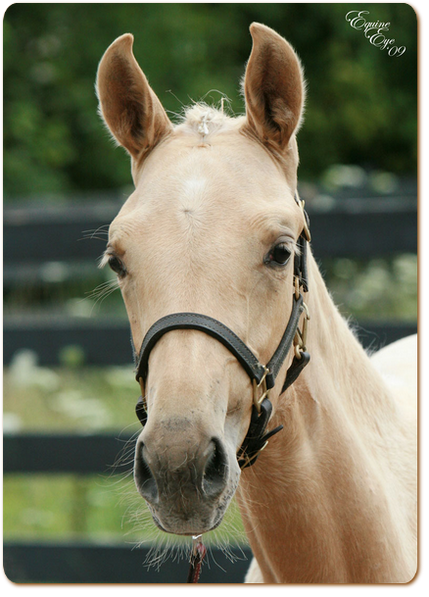 This huge palomino filly arrived at the end of May and what a solid well put together filly she is indeed. 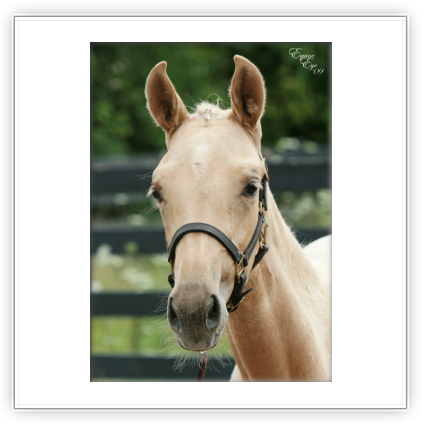 Darcie is out of Crème of the Crop by Mirabeau. 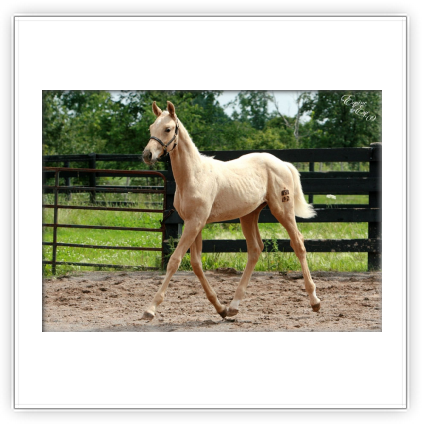 She is the biggest filly this mare has thrown and has wonderful bone configuration all over. She will be without a doubt one of the favourites here as she struts her "look at me" attitude all over the place. 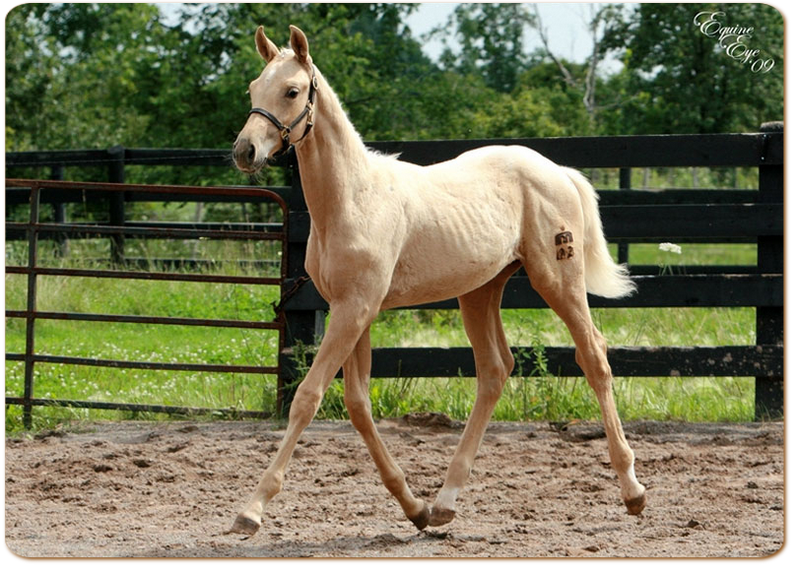 She has one powerful rear end on her which should do well in the jumper field. Darcie lost her dam when she was two months old. She recovered from this loss and went to a RPSI inspection with Brass Monkey and Mirakey as her companions. This filly achieved Premium Silver.